Okay, I made a mistake here. 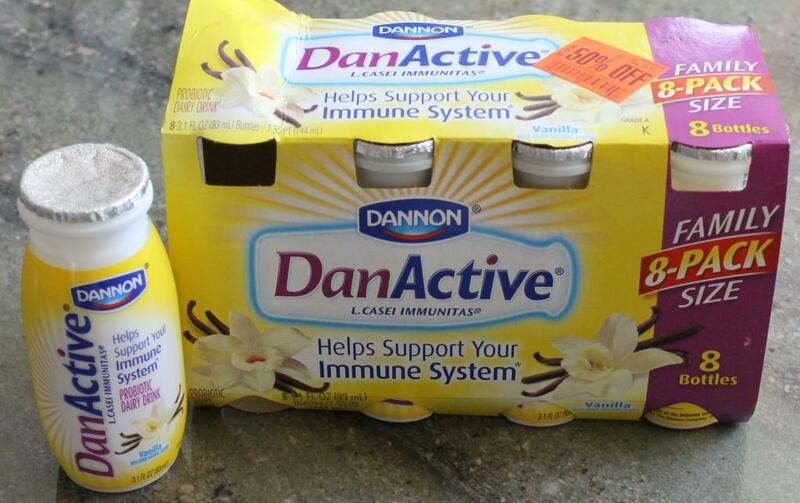 I went into this thinking that, because DanActive is manufactured by Dannon, it would be more like a smoothie than a drink. I figured (sorry, this is kinda like math, here) Dannon = yogurt. Yogurt + probiotic dairy drink = thick, smooth beverage. Sorry, Dannon, but to me, this is more like the liquid penicillin we used to drink as children back in the dark ages. Except I remember that tasting better. If you like tangy yogurt, then this will be a breeze for you. But I am a big sissy and like the yogurt that tastes like cream. Yes, every meal should taste like dessert. What’s so wrong with that? In any case, I tried this because it’s a) probiotic; b) certified gluten-free; and c) it was marked down 50% off. Yeah, I’m cheap. So sue me. I try all this stuff so you won’t have to. You wanna make that up to me? Tell your friends about this blog. Oh, and buy some of my books. The family pack I purchased has 8 bottles in it. The normal price (at a small, local Safeway) was $4.49. That’s 56 cents per bottle. Now, this is not a meal replacement by any means. It is more like a supplement. It contains L.Bulgaricus, S.Thermophilus, and “10 billion of its exclusive probiotic culture L.Casei Immunitas which no regular yogurt has” according to the package. I checked my yogurt – that contains L.Casei. It doesn’t say anything about Immunitas. Frankly, that sounds like a disease contracted by political refugees. Each 3 ounce bottle has 70 calories, 1 gram of fat, 11 carbs, and 3 grams of protein. So, if you want something with a bit of a tang to quiet those between-meal stomach grumblings, this might be for you. No one said there would be math. 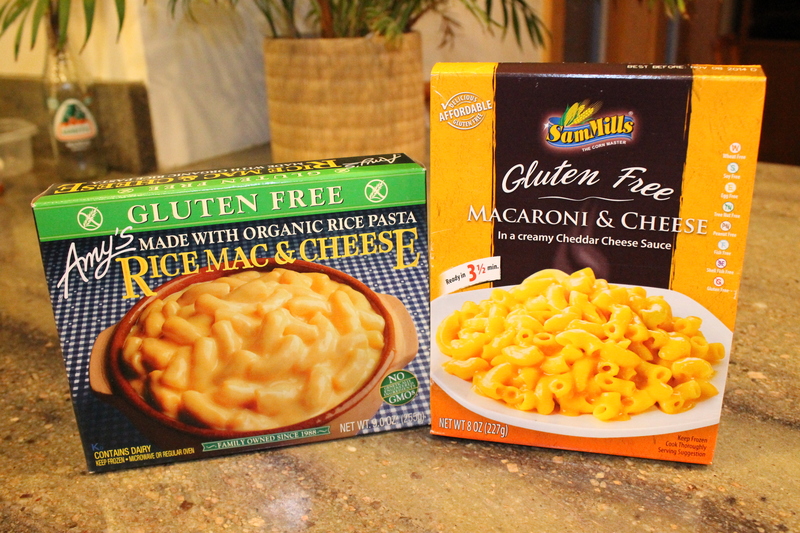 At the WalMart store in Colville, Washington, there is an impressive selection of gluten-free foods in the freezer section – for a non-health food store, anyway. 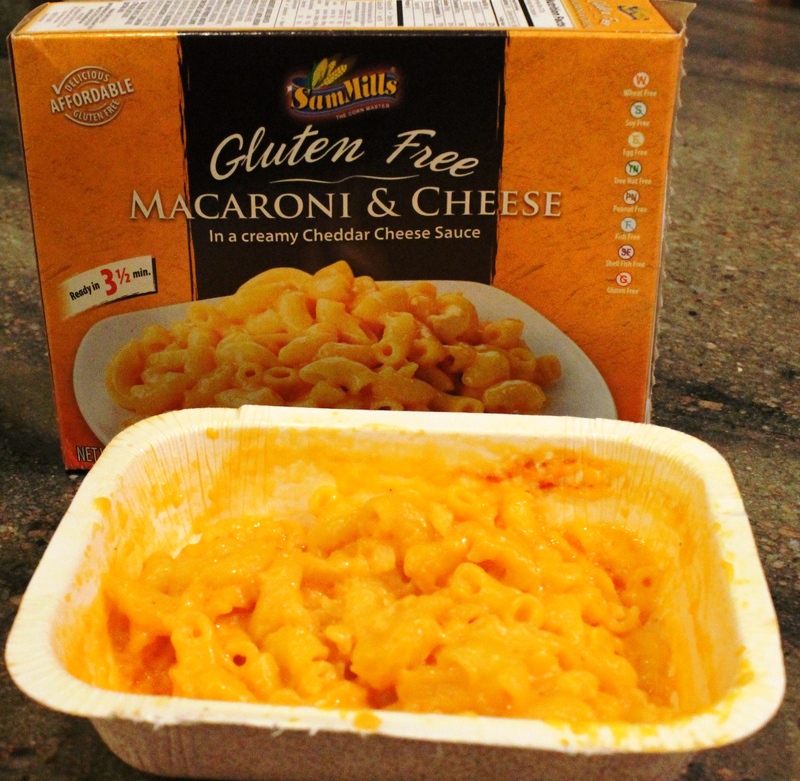 This is where I discovered SamMills the Corn Master’s Gluten Free Macaroni & Cheese In a creamy Cheddar Cheese Sauce. At $2.97 for 8 ounces, vs. Amy’s at $3.58 for 9 ounces, it was worth trying. It is wheat free, soy free, egg free, tree nut free, peanut free, fish free, shellfish free, and gluten free. Phew! While I was in the store, I glanced at the cooking instructions. 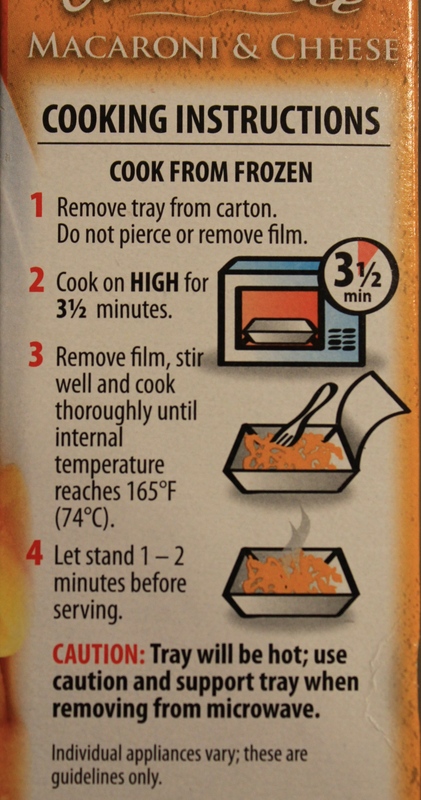 “Cook on high for 3-1/2 minutes” in the microwave. Super easy. Sold. Remove film, stir well and cook thoroughly until internal temperature reaches 165 degrees F.
Anyway, I finally got it to 165. That was kind of a pain. It didn’t look too bad. And, it had very good flavor. The pasta consistency was similar to slightly undercooked, but I like it that way. I’d much rather have pasta I can sink my teeth into than have mush. So, the SamMills Mac & Cheese was good, but the cooking part was a bit stressful for me and sort of lessened the enjoyment of the dish. For more on SamMills products, go to www.SamMills.eu. Tune in next time for Amy’s Rice Mac & Cheese. 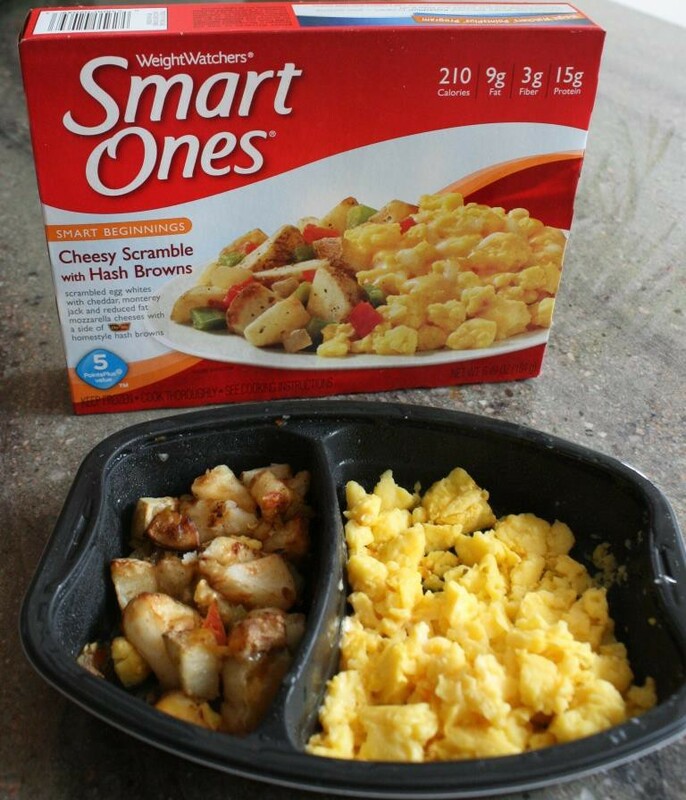 Earlier this week, we wrote about the SMART ONES Cheesy Scramble with Hash Browns. Here is an alternative, brought to you by EATING RIGHT. Let me start out by saying that nowhere does Eating Right claim that this is gluten-free. But if you look at the ingredients, you will notice wheat is not listed amongst the allergens at the end. Eggs, soy, and milk the only allergens listed. When you see modified corn starch specified and xanthan gum used – those are normally a good indication there will be no gluten. However, if it is not labeled as so, it is never guaranteed. I got this “EATING RIGHT” breakfast on sale for around $2.00 at the local Safeway. 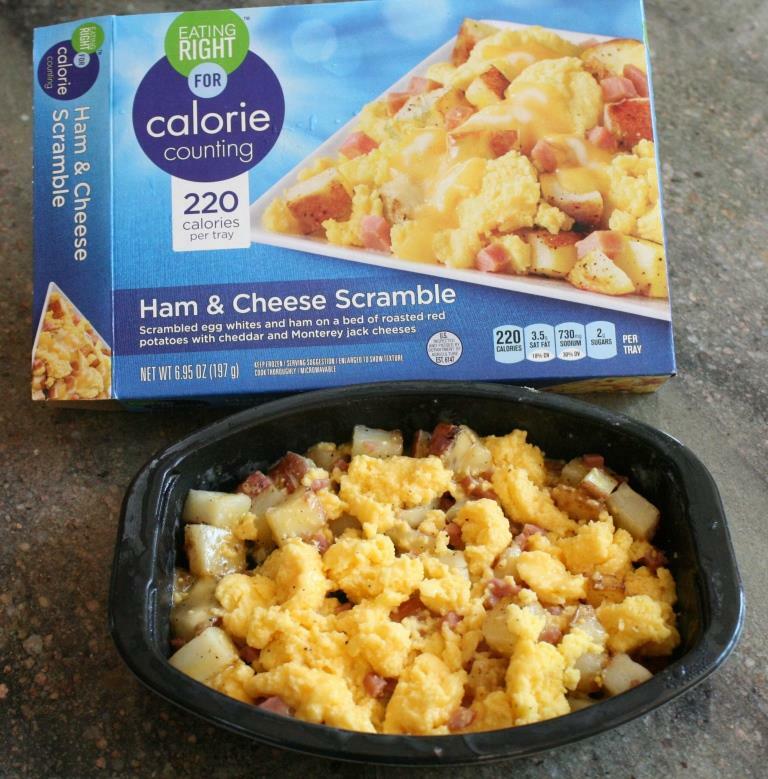 EATING RIGHT: 220 Calories, 7 grams of fat, 18 grams of protein, and 730 mg of sodium. A total of about 5.5 minutes cook time. Very easy. SMART ONES: 210 Calories, 9 grams of fat, 15 grams of protein, and 510 mg of sodium. A total of 3 minutes cook time. Very easy. Flavor? Pretty good. I was definitely happier with the non-red-pepper overpowering flavor. This was quite pleasant until I got to the end where I guess I had missed stirring during the cook time and all the black pepper had accumulated. Wow! Powerful stuff. So, I decided I would try another one, and be more careful about the stirring. Well, thorough stirring spread that black pepper throughout the dish. I will not be doing that again. I prefer crispy hash browns, and these were not, but they were good. The eggs had good flavor and consistency. The ham was a little dried out, but I like mine that way (since I don’t usually eat ham) so it didn’t bother me at all. The flavor was good as well. All in all, if you’re starting out a busy day, need a decent protein-laden breakfast, and only have a few minutes – this is another way to go. 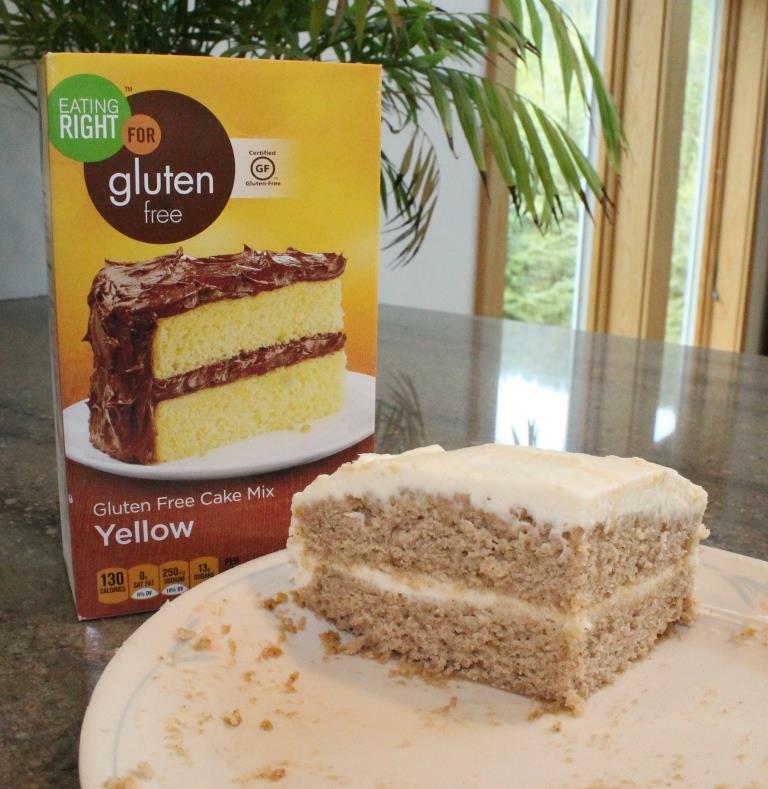 Let me start out by saying that nowhere does WeightWatchers claim that this is gluten-free. But if you look at the ingredients, you will notice wheat is not listed amongst the allergens at the end. Eggs and milk the only allergens listed. Xanthan gum is used in the eggs and cheese sauce which is normally a good indication there will be no gluten. However, it is never guaranteed. I got this “Smart Beginnings” breakfast on sale for $2.50 at the local Safeway. You can probably do better somewhere more traveled. 210 Calories, 9 grams of fat, 15 grams of protein, and 510 mg of sodium. A total of 3 minutes cook time. Very easy. Flavor? I thought the potatoes were a little too peppery. Could be the bell peppers, but I’m not sure. I prefer crispy hash browns, and these were not. The eggs, however, had good flavor and consistency. I’m not sure where they get the idea it’s a “cheesy” scramble – I didn’t really notice any cheese sauce. All in all, if you’re starting out a busy day, need a decent protein-laden breakfast, and only have a few minutes – this is the way to go.